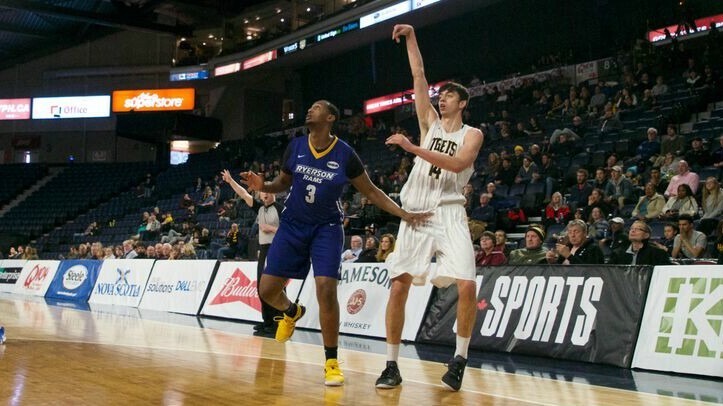 The Dalhousie Tigers men’s basketball team finished their run at the U Sports Final 8 championships with a 84-66 loss in the bronze medal game against the Ryerson Rams. After playing a tough semifinal game against the Carleton Ravens the day before, the Tigers had to quickly regroup, but they didn’t have enough energy to sustain their pace. “I think we ran out of gas a little bit but that is no excuse,” said Dal’s Head Coach Rick Plato. The Tigers took an eight-point lead halfway through the first quarter, mainly relying on perimeter shooting as Alex Carson and Sascha Kappos hit three-point shots. Their defence was also working well as they protected against drives to the hoop and out-rebounded the Rams 15-8, but many late fouls by Dal allowed Ryerson to pull even as the first quarter ended 14-14. Dal came out slow in the second quarter as they turned the ball over seven times. Ryerson scored and gained momentum. The Tigers had opportunities to take control of the game, but every basket was quickly countered by Ryerson. Jordan Wilson drew a foul by driving to the basket and sunk the free throw to make it a three-point play, but on the next possession Keevon Small hit a three-pointer for the Rams. At the end of the half, the Rams were up 40-32, led by fifth-year Filip Vujadinovic. He had 17 points in the game. With the bronze, Vujadinovic has won five national medals in five years. Dal came out aggressive in the third quarter and drew five team fouls on the Rams within the first four minutes. Dal stopped attacking the rim after that and couldn’t get free throws to cut down the lead. They were held to just 12 points as they struggled to get open looks at the hoop and hit their shots. Their two-point shooting percentage throughout the game was 29.9 per cent, compared to Ryerson’s 45.3 per cent. For the second day in a row Sascha Kappos was named Dal’s player of the game. He had 15 points, including a monster slam dunk late in the third quarter off of a pass from Jordan Brathwaite at the top of the arch. Vujadinovic drained a three-pointer right at the buzzer to put the Rams up 62-44 at the end of the third quarter. The Rams’ experience allowed them to remain hot in the fourth quarter as they shot 61.5 per cent from the two-point range and 75 per cent from three. The Tigers battled right to the end of the game and tied Ryerson for fourth quarter points at 22 each. The win, however, was out of reach as the Rams took the game 84-66 to get the bronze medal. For a young Dal team, the experience of playing at the national tournament – and losing – will be valuable for their leadership group moving forward, especially for second-year guard Keevan Veinot. Veinot emerged as the team’s general on the floor and was arguably Dal’s best player in the playoffs. He averaged 11 points, 6.3 assists, and 6.6 rebounds at nationals. Playing in their last game for the Tigers were seniors Cedric Sanogo, Mike Shoveller and Kevin Duong. His tenacity will be missed at Dal. 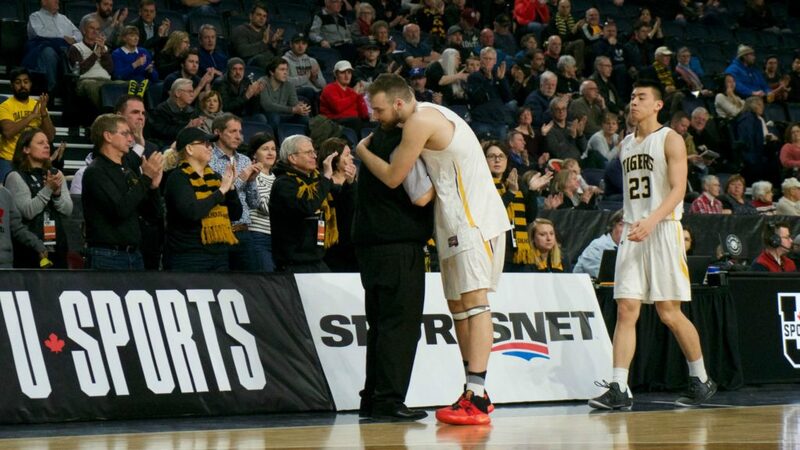 After starting their regular season with a record of 6-6, the Tigers played their best basketball at the end of the year, winning 12 straight games and the AUS championships before losing to Carleton in the Final 8 semi-finals. ← What’s the sense in no scents?